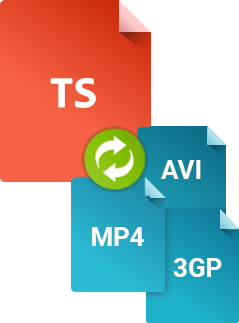 Want to convert TS to MP4? 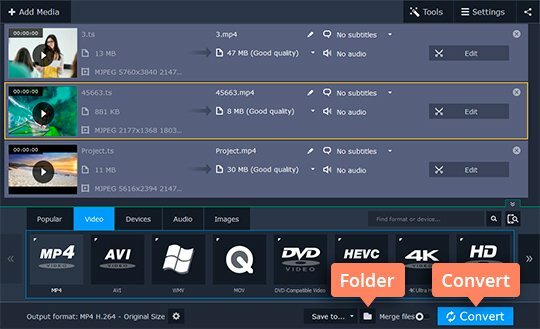 You’ve probably come across video files with the extension “.ts” on your Blu-rays. If you’ve ever wondered how to play these movies on cell phones and other portable devices, you just need a decent decoder that can convert TS files to a more accessible format like MP4. What Is a TS File? MPEG Transport Stream, also known as MPEG-TS or simply TS, is a format used for storing video, audio, and data on media like Blu-ray discs. 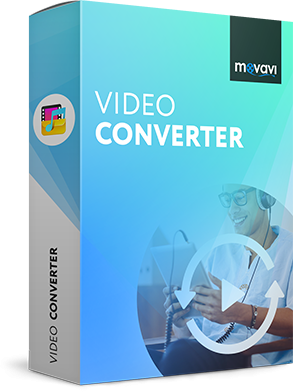 Movavi Video Converter is one of the best applications for this kind of conversion. 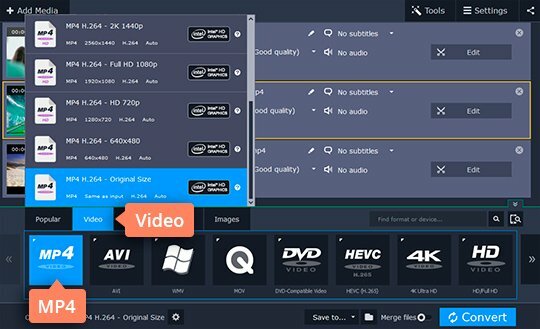 Download the free trial version for Windows or Mac and learn how easy it is to transcode TS files into MP4 below. Run the downloaded file and follow the on-screen instructions to install the app. Go to Add Media > Add Video and find the TS files you want to transcode. In the Video tab, find the MP4 group of presets and choose the appropriate preset. 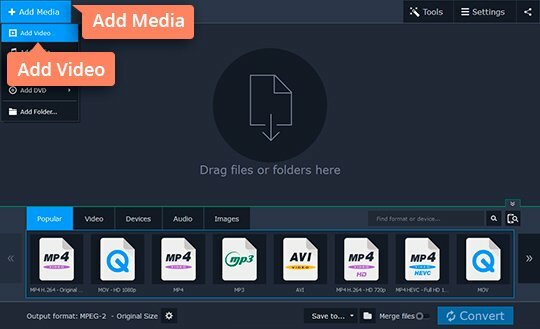 You can also use the Movavi encoder to convert TS files to other video formats like AVI, MKV, MPG, and WMV or a DVD‑compatible format. In addition, you can extract audio from video and save it in MP3, FLAC, OGG, and more. Click the Folder icon to change the destination folder; if you don’t do this, the resulting files will be saved in the default Movavi Library folder. Hit Convert. That’s all there is to it!